George Street entrance of Anglican, Christ Church St Laurence in the foreground, completed in 1841. Signifying a transition from Old Colonial Gothic to the Free Victorian Gothic style. 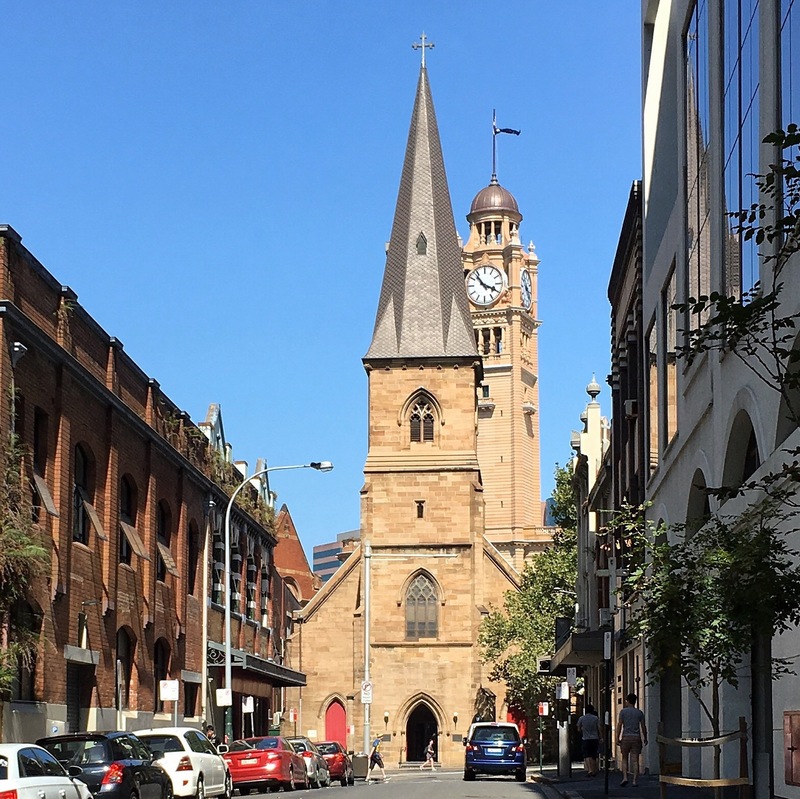 Faced with this view along Valentine Street, you could be forgiven for thinking that the 1921, Free Classical style clock tower of Central Station is part of the same building. Pitt Street running parallel to George separates the two sandstone buildings. The time is nearing 4:00 pm in Sydney, the temperature is a scorching 39oC. Looks very European one similar to churches in Germany and the other clock tower looks almost Italian. 39C ? pish posh I say. that’s a cool evening here in July.